"Queera Wang" came from hearing somewhere that Bob Dylan didn't like any music so he made music that he'd want to listen to. Curtis found himself bored with the typical wedding attire options he saw, especially when it came to mens fashion. From the desire to see more nuanced and dynamic fashion expressions he began making things for himself and his friends. "Clothing can be so binary and predictable and I want something more fun and unexpected and interesting and architectural and playful. 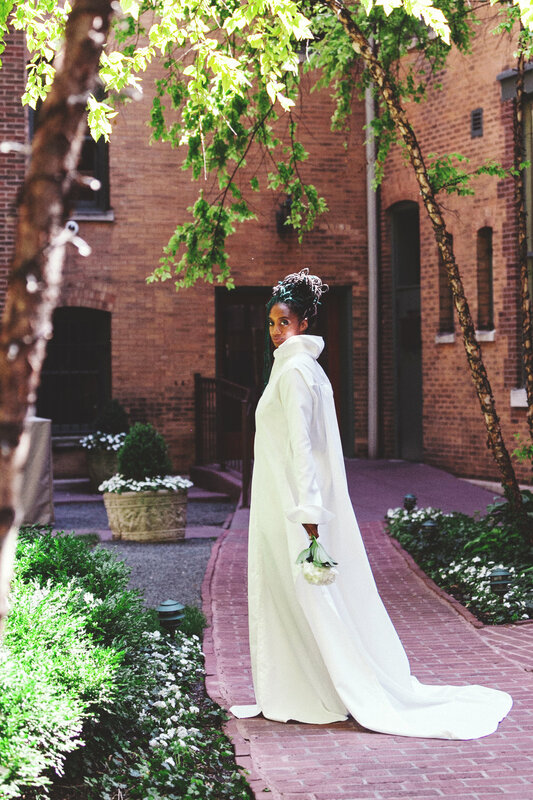 The concept grew from ready-to-wear along with the influence of the Ivy room by thinking about what I'd wear for my own wedding, and it blossomed from those many sketches to the pieces you see here." We would like to take the opportunity to thank The Ivy Room and The Joel Oppenheimer Gallery. I've been wanting to shoot at the romantic Joel Oppenheimer gallery in the even MORE romantic Victorian artist lofts for awhile now, and they graciously allowed! Curtis has sewing in his blood. His great grandmother, Gertrude, who passed away when Curtis was very young remains an inspiration for Curtis when designing. His first dress form was purchased for $25 off of craigslist and has been lovingly named and tattooed "Gertrude." Once when Curtis was sewing for a shoot with black and white clothing the director had a very specific rust color that they wanted used. 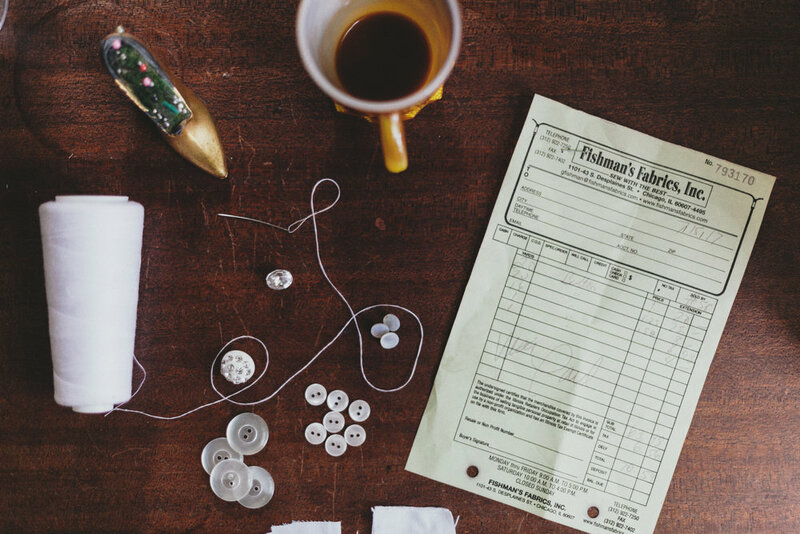 Curtis couldn't find his sewing supplies but was just gifted Gertrude's old sewing kit with everything still in it. Surprisingly, her sewing kit Included black and white thread, and the perfect rust color thread as well. In her sewing kit Curtis also found other sewing antiques and thirteen thimbles, that he uses today. It's his way of keeping Gertrudes memory alive and to pay homage to the great grandmother he hardly knew but shared his passion for sewing. 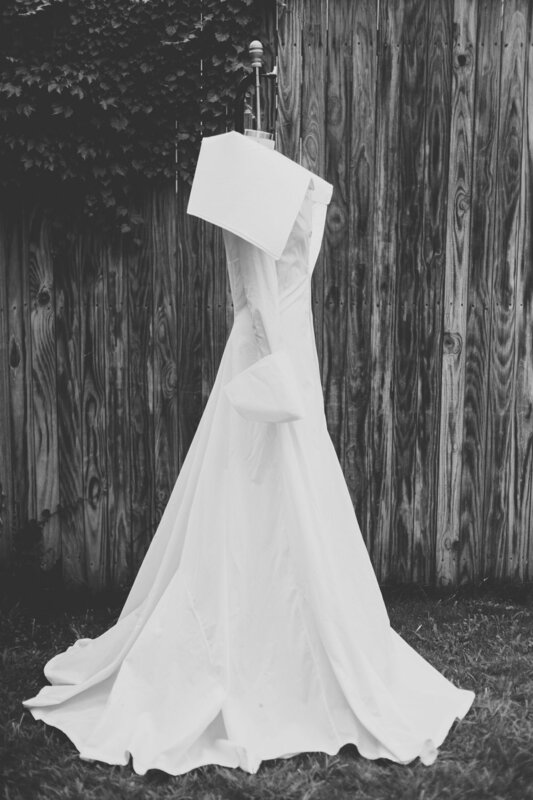 Gertrude even served as an inspiration for Queera Wang, Curtis said that Gertrude made and hand-beaded her own wedding dress and matching gloves.